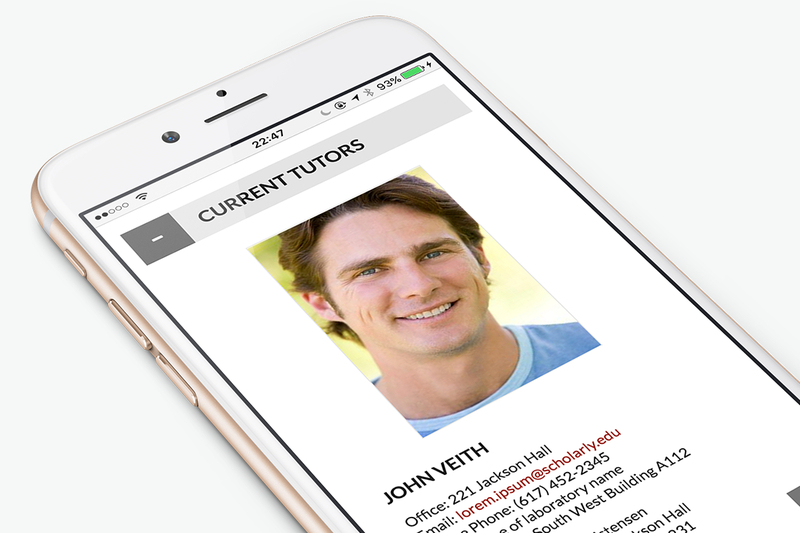 For universities, schools, colleges and online course businesses. Why limit your content to just images and text, when video gets more important than ever? 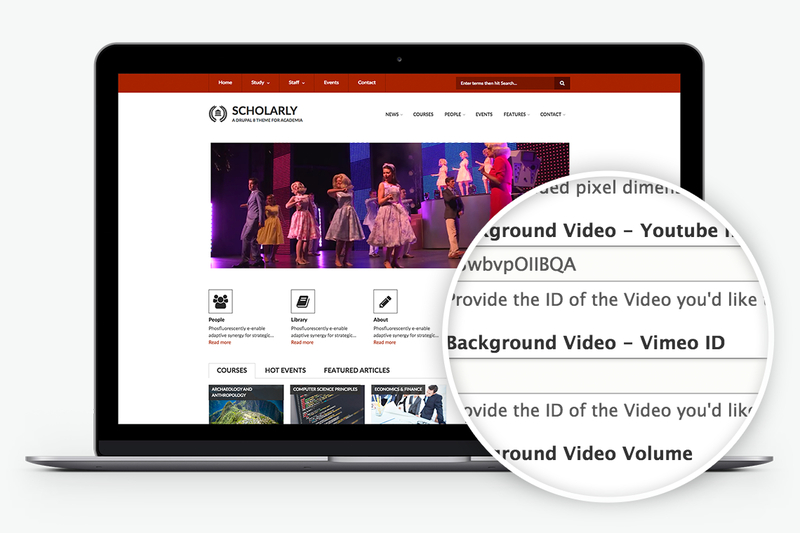 Scholarly for Drupal 8 features deep video integration helping you to really stand out. 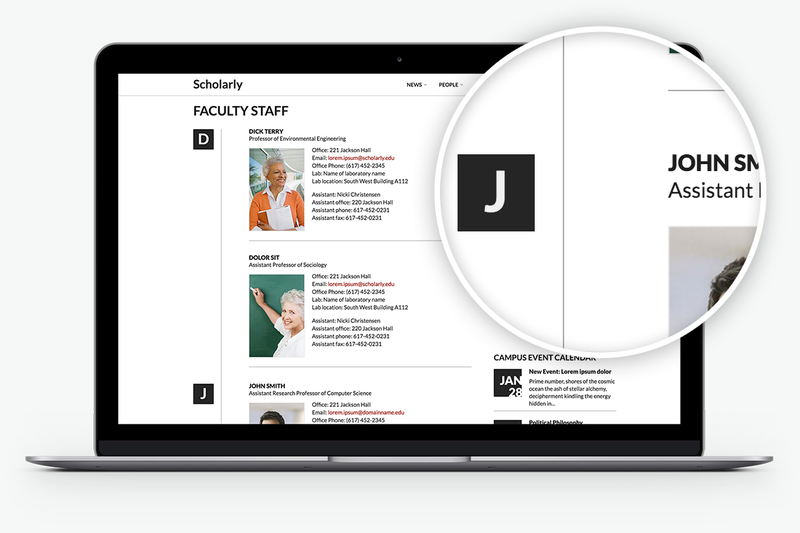 Comes with a series of content types tailored to Academia: Faculty, Students, Courses and Events—with their relationships. And it doesn't end here; add on top of those Article, Basic page, Blog entry, Testimonial and Webform. 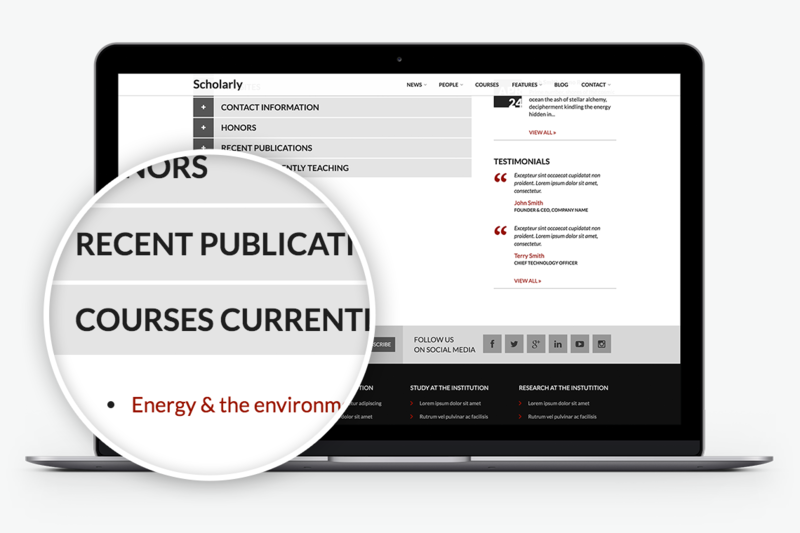 Awesome indexing and grouping of entries belonging to each of the special content types – Courses, Faculty and Students – so that your visitor can easily find what they are looking for. Scholarly Pro & Scholarly Enterprise come bundled with Drupal Commerce providing you a turnkey e-commerce solution right after installation. Making it easy for your visitor to locate your organisation and, quite importantly, your events on the map plays an ever-growing role nowadays, and Scholarly does great in this direction. Why not have the freedom to have one, two, or three column layouts? Scholarly supports all of those and, guess what, they've all been carefully crafted to work great. Drupal 8.x and Drupal 7.x theme with Views.